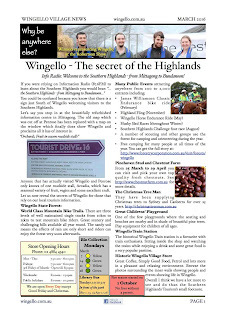 The latest Wingello Village News is out. Our varied Summer weather passes into Autumn, a colourful and great time for Wingello. Great Summer weather with all the seasons vain for our attention this month. 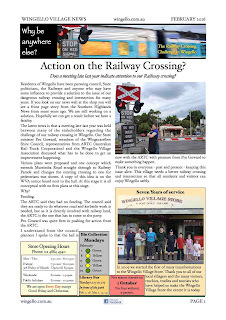 Action on the dangerous Wingello Railway Crossing? Seven years of service - time flies!